Not got time to keep up with the latest fashion trends? Unsure about what to wear in 2016? We make it simple with these 5 items you’ll wear all the time this year. Busy mamas take note! A new season is on the horizon in the fashion world. And, while the catwalk army scurry around compiling their SS16 wardrobes, us style conscious mums still have to deal with the tasks of everyday life, leaving little time to perfect our own wardrobe, and still wandering what to wear in 2016. But that doesn’t mean we have to walk around looking drab! It’s time to release your inner-fashionista and start to build a capsule wardrobe that you can pull from anytime of the year, and still be confident that you are on point in the style stakes. Never has it been more fun to put your pins on show than in 2016. The catwalks were filled with playful pleats on feminine dresses and skirts. 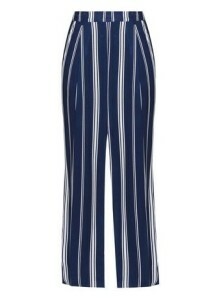 Get your fix of this cool new trend with this pleated long dress from Mango for S$99.90. Ruffles, tiers and bright shocks of colour were all over the runway for the SS16 collections. If you can imagine the extravagant style of authentic flamenco dresses, you are on the right track. Latin inspired frills are in – big time – so now’s the time to reveal the hidden señorita in you. Salsa dancing is optional. You can go for an understated look with this H&M cotton blouse S$79.90. Smash your spring style with girly floral designs. Feel pretty, while standing out from the crowds, in this trend everyone can wear. 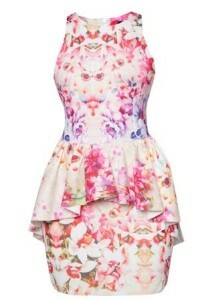 This Something Borrowed peplum dress can be worn in the day or glammed up for a night on the town. It’s available from Zalora for S$34.90. “Yes!” I hear you rejoice! this shape flattering design is back. Stripes are big and bold so wear them with pride this year. For something that you can adapt throughout the year, try these palazzo pants from Zalia, available at Zalora for S$29.90. 5. You’ve got to pump it up! Pumps are going to stay on trend for Spring so it’s worth grabbing a decent pair that you can wear throughout the year for work or play. 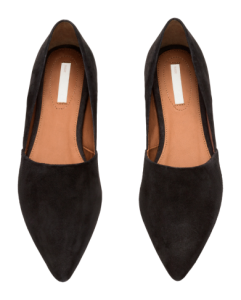 Finding a stylish, comfortable but smart shoe can be tricky, but these H&M 100% suede pumps are just what we need. Grab these in store from March for S$59.90. Looking for more style inspiration? Check out the fashion and beauty pages in our magazine, Parents World, out now! Tell us what you think via Facebook or share your photos with us through Instagram #parentsworldsg.